Q: What is simple bending or pure bending of beam? Sol. : If portion of beam is subjected to the constant bending moment only and no shear force acts on that portion as shown in the figure given below, that portion of beam is said to be under simple bending or pure bending. 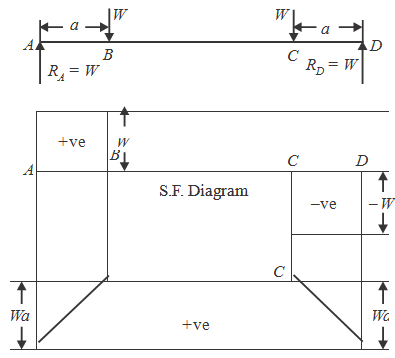 A simply supported beam loaded which is symmetrically as shown in the figure, will be subjected to constant bending moment over length BC and on this length shear force is nil. So the portion BC is under simple bending. POLITICS, WHO IS HOME MINISTER OF INDIA OF 2014? WHO IS HOME MINISTER OF INDIA OF 2014?